NES Ninja Gaiden (USA) in 11:02.47 by Scumtron. This 4-second improvement to the previous movie is the fifth published movie of this game. 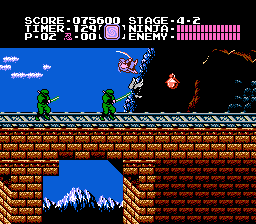 Most notably, the third boss is improved.